In 2012, Ian started Notch Video, an online marketplace where businesses can find a unique solution for their video production needs. Notch Video has helped brands like American Express, Tim Hortons, Samsung, BMW, GoDaddy, Canadian Tire, Sport Chek, Cadillac Fairview, and Air Transat produce award-winning and scalable social media content efficiently & cost effectively. Notch Video is North Strategic's sister agency. With 15 years of experience across PR, digital, and ad agencies, Ian has built an arsenal of real-world experience within content creation, marketing strategy, and earned media. 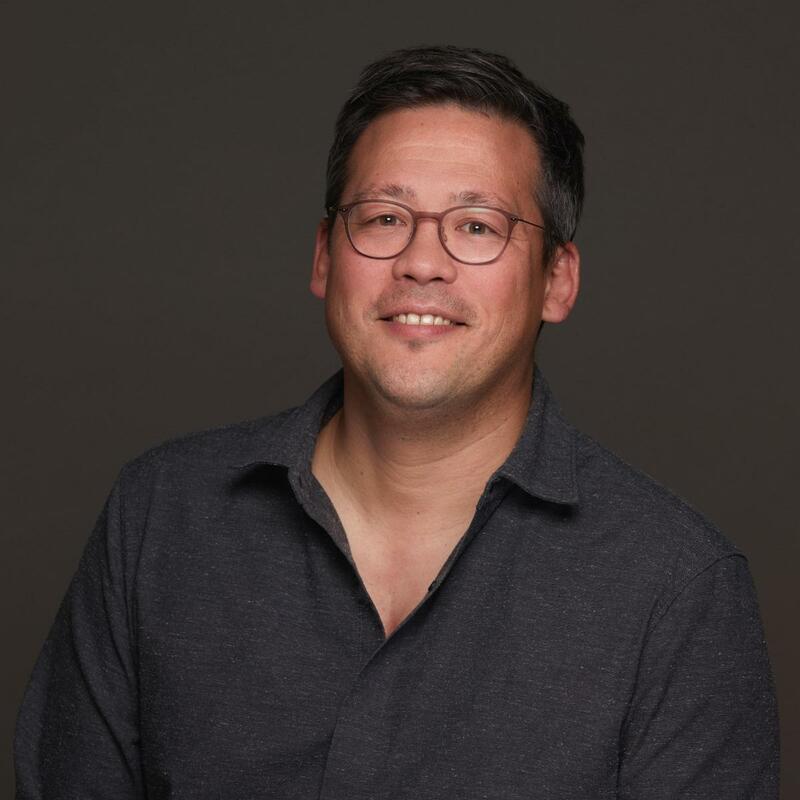 Prior to launching Notch Video, he was VP of strategy at Sid Lee, focused on creating earned media-integrated marketing platforms & campaigns for clients like Kraft & Moosehead. As a VP in the leadership team at High Road Communications, Ian provided strategy and managed teams running PR, digital, video, and social media programs, always delivering measurable, successful programs for clients including Gatorade, Xbox, American Express, and others. Ian has years of experience, working with great teams to create new, progressive forms of marketing strategies, campaigns, and video content that connect with people on an emotional level. His expertise in video has helped drive earned media and build brand advocates, while helping dozens of top clients reach their business objectives. Jim has over two decades of experience in creating memorable communications and experiences across multiple industries. He is a copywriter by trade. Sangsoo Chong is a professor of the Department of Advertising & PR at Cheongju University in Korea. He has worked at Ogilvy & Mather Korea as a vice president/ ECD until he moved to the university in 2008. He started his career as a film producer at Oricom, the first ad agency in Korea. It was an easy start for him since he studied film & drama in the university. Over 30 years he has worked at agencies as a film based creative director. He has been launched successful campaigns for Kimberly-Clark, Pizza Hut, Unilever, Motorola, KFC, Nestle, LG, Daewoo and Hyundai. He has served as a jury member at many awards shows such as New York Festivals, The One Show (Young Ones), AME, Ad Stars, Seoul TVC Festivals. He is giving the local agencies helping hand to win more international awards in recent years. An innovative and transformational marketer with a reputation for strategic thinking, Lauren Dineen-Duarte leads both public relations and social media strategy and advertising for American Express Canada. Since joining the company in 2008, Lauren has been responsible for developing and driving the communications strategy, content development initiatives and paid media strategy for the Canadian business. Korhan Kurt is an adman and an entrepreneur. He is the co-founder of Promoqube, a digital brand communications agency which provides brands with efficient results in the social media age and Useful incubation centre which develops new marketing technologies. Promoqube, co-founded by him, is an innovation center which works with the biggest brands in Turkey. It’s the first agency that has been included to Facebook PDC program. Promoqube was acquired by IPG Mediabrands in 2014. Rohj is a brand marketing and communications leader based in Manila, Philippines. He has helped organizations grow its corporate and product-specific brands, some of which include media network, TV5, and Filipino conglomerate, Aboitiz Equity Ventures. He is currently part of an amazing team that creates environment for #RidiculouslyGood content, communications, and culture. Rohj graduated with a degree in Communications from the University of Santo Tomas, Manila, Philippines. Outside of work, he is passionate about coaching young people on personal leadership and encouraging others. Jeremy is the founder of Bang TV the international production company based in London with offices in New York and Los Angeles. He started as a copywriter at JWT and still prizes the value that creativity brings to a campaign. For the past 25 years in production he has produced projects around the world. He was part of the Radical Media producing team that twice won the Palme D’Or at the Cannes Lions. He’s also won awards at British TV Arrows, Cannes, D&AD and Spikes. Jeremy has extensive experience in multi-national commercial campaigns and has worked with many global advertisers. Bilge ONUR is the Employer Branding and Internal Communications Manager of Turkcell, the digital operator. Prior to her role in Turkcell's HR team , she leaded Turkcell's marketing communications team where she spent 5 succesfull years. During her career, Bilge used to lead marketing communications teams of the largest international companies in Turkey, such as TTNET, Turk Telecom, Carrefour and Tesco. Bilge Onur is graduated from Galatarasay University in Istanbul, and has a DEA Marketing from IAE de Lille-France. Getting known in a crowded world and traversing through the PR and publicity minefields is a difficult task for anyone. We provide the tools for growth by establishing your very own PR department. Showcasing achievements through perfect visuals and eloquently written and targeted publicity and press releases, you can have the team developed and productive within 4 weeks. No more costly PR bills. Our results increased a customer base from 4 to 10 million in two years and won 7 international Awards in 6 months. Patrick is working at LVB, the biggest content marketing agency of the Netherlands. LVB Networks has won several national and international content marketing awards over the last years. As head of content marketing and videomarketing, With his team Patrick creates videoformats, content campaigns, content strategies, corporate videos, animated videos and branded channels. for different brands and businesses, both B2C and B2B, like WWF Netherlands, ABN AMRO, Nuon, KPMG, NS, Dutch Railways, VodafoneZiggo and Cisco. Experienced Marketing and Communications professional with a demonstrated history of working in the oil & energy industry in diverse positions. Self‐motivated, persistent learner, new ideas seeker, innovative, with excellent organizational skills, keen on detail, solutions oriented, and highly technology minded, with an acute commitment to on time delivered results. Currently working at HELLENIC PETROLEUM Group of Companies, one of the leading energy groups in South East Europe.